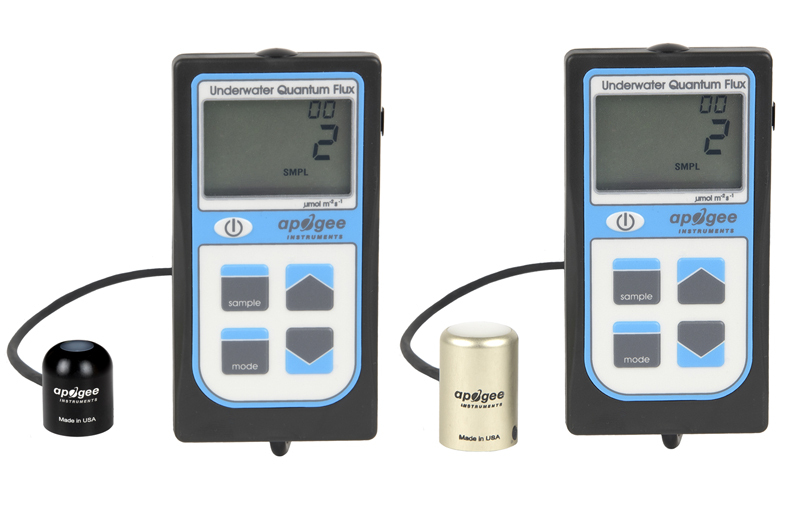 Apogee Instruments has just announced two new PAR meters with the moniker, Underwater Quantium Flux MQ-210 and MQ-510. Both of these meters are priced the same as the MQ-200 and the MQ-500 respectively. The new meters function identically to the MQ-200 and MQ-500, but they have a built in immersion correction factor. 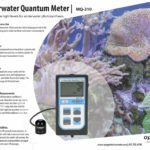 If your using a standard MQ-200 and MQ-500 meter, there is no reason to worry because those meters still both work great in aquarium applications. 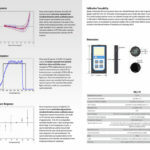 The new meters however, will work even better when their measurements are multiplied by the new immersion correction factor that is spelled out in the owner’s manuals. 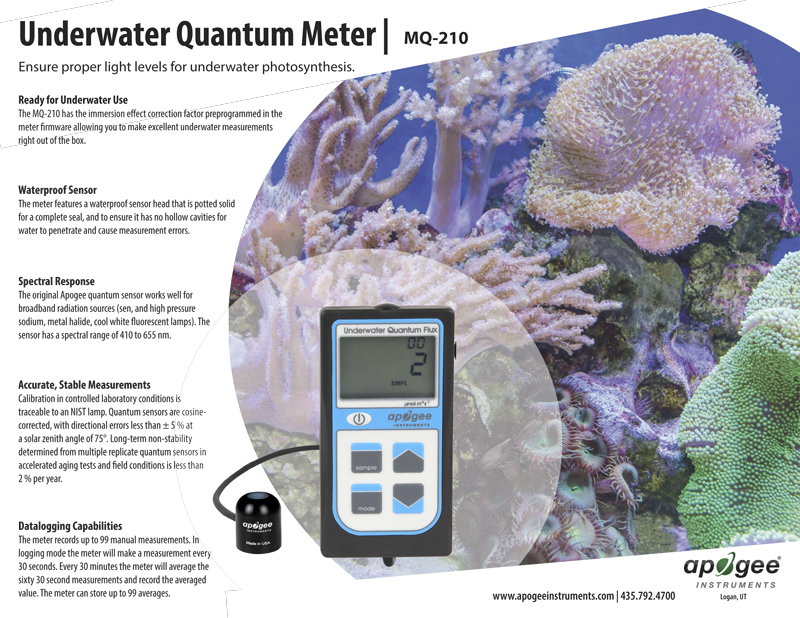 Apogee Instruments designed the MQ-210 and MQ-510 just to make PAR calculations a little easier on the aquarist. 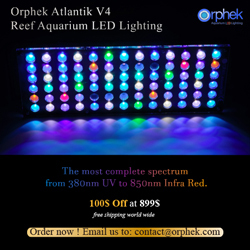 Apogee Instruments tells us that they will phase out of the MQ-200 and MQ-500 for the aquarium industry over the next several months as inventories turn over. 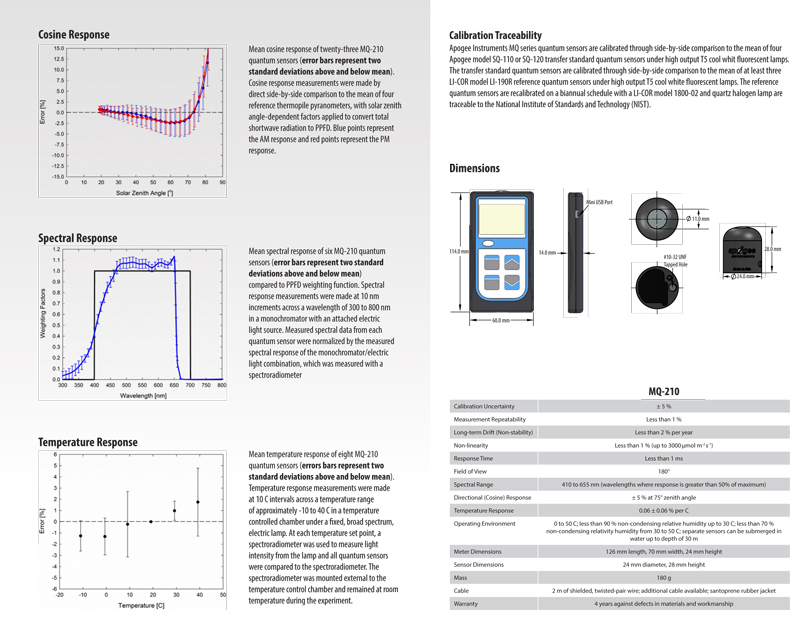 To learn more about the new PAR sensor models, visit the Apogee Instruments page. Expect to see the new meters at online retailers in the coming days.